Anrac Electrical and Air Conditioning Contractors provides the worlds leading brands and expert advise in order to provide you with the best possible solution and service. Contact us today for a quote! Anrac electrical experience extends to, -Domestic air conditioning design, supply and installation. -Commercial air conditioning design, supply and installation. -Scheduled service contracts and breakdown service. -All electrical associated with air conditioning and ventilation. -Mechanical electrical design, installation and commissioning. -Mechanical Services Switch Board (MSSB) design, build and installation. -Air conditioning control to allow for energy efficiency. -Electrical services. Keep your home cool year round. A family owned and operated business, Air Conditioning Brisbane specialises in installations, repairs and maintenance of A/C units. We are a progressive business, focused on environmental solutions and technologies to reduce the environmental impacts and ongoing operating costs of systems for residential and commercial customers. For a top-shelf service throughout Brisbane northside, including North Lakes, get in touch today. 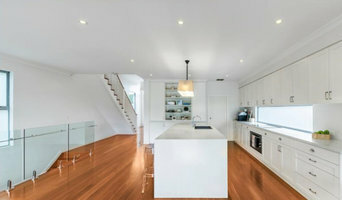 Green Cleaners Team, a big name in the industry of duct cleaning Brighton. Being a local company we understand the need of our customers and give our best to cover and fulfil their needs. Moreover, we offer the best duct cleaning services. The professionals of our teams are experienced and trained and know all the tricks to bring a smile to our customer's faces with our services. Also, being an experienced and reputed company we, first of all, inspect your duct in the home and office and then provide you with the quotes. 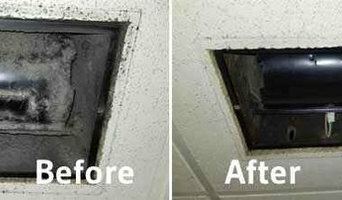 We also offer vent duct cleaning services in the city at amazing prices. Call us today to bring our professional duct cleaners to your place. From quality Wall split air conditioners to the latest in Ducted air conditioning technology, A4Air installs economical air conditioning systems across all major brands to ensure your comfort in all seasons. Contact A4Air today to arrange a free in-home quote when it suits you. 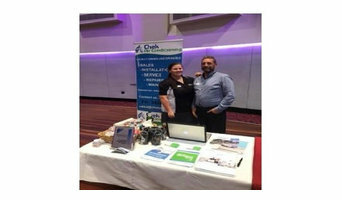 Chek Air Conditioning is a family owned business with 25 years experience specialising in air conditioning sales, installation, service and repair for both commercial and home air conditioners. If you're looking to air condition your home, then get the best advice from our specialised team for your split system or ducted air conditioning system. Chek Air Conditioning also offer commercial preventative maintenance programs, and are warranty and service agents for most of the major brands. Airtime Air Conditioning Summertime, Wintertime, Anytime, AIRTIME! Airtime Air Conditioning have quality products with back up service & installation we provide a wide range of Air Conditioning products to Brisbane, Logan and the surrounding area, These including domestic air conditioning, split systems, ducted air conditioning and, commercial air conditioning. Airtime Air Conditioning based in Logan City, Brisbane has over 20 years experience in the Air Conditioner field, servicing clients within the Brisbane & Logan Areas. From domestic air conditioning to commercial air conditioning Airtime Air Conditioning has the expertise to assist you with all your Air Conditioner requirements. If you are thinking about Air Conditioning, come and see us at Airtime! Airtime Air Conditioning are authorised Dealers for 3 top brands of air conditioning: Mitsubishi Electric, Daikin and Braemar which provide you a large range of quality Air Conditioner systems to suit your needs and any budget. Summertime, Wintertime, Anytime AIRTIME! We supply, install and service Ducted and Split Air Conditioning Systems. Supply and install a full range of Electrical Services for your home or work place, Data and Communications, Fault finding, Certifying and Advising. We pride ourselves in providing a Quality Service with Quality Products. Our courteous trades people will arrive on time and we will treat your home better than we would our own. We offer FREE quotes on all our jobs (not including diagnostics). Our Fixed Price Guarantee on quotes gives you the peace of mind of knowing that ‘What we quote is what you pay’. Or choose our low hourly rate and be pleased with the final cost. KEVMAR AUSTRALIA operates in the South East Queensland Region. HydroKleen services and sanitises all types of split system air conditioners. If you suffer from asthma or allergies and use an air conditioner then this is a must do service. HydroKleen is EXCLUSIVELY approved by the National Asthma Council Sensitive Choice Program. Having your air conditioners HydroKleened will save you up to 30% on your air conditioning running costs and reduce the risk of sickness. We guarantee that no other company can achieve the same results. A C MILLER AIR CONDITIONING is a privately owned business with owner Adam Miller heading up the team of qualified technicians. Adam Miller has been in the industry for 20 years and has carried out servicing, maintenance, install, commissioning and design in domestic, commercial and industrial applications. We at A C MILLER AIR CONDITIONING have been in the industry for over 20 years. We provide quality workmanship in carrying out repairs and installation of air conditioners in domestic , commercial and industrial applications across Brisbane, Gold Coast, Sunshine Coast and as far out as Toowoomba and Warwick regions. Our qualified friendly staff are here to respond to your call to maintain, repair and install leading brands at affordable prices. Our team provides a prompt service and no job is too hard or too big. "Are you looking for someone to take care of your air conditioners? We are specialists in the supply, installation and maintenance of air conditioning, and offer a range of products, including split system air conditioners as well as ducted air conditioners. At All Cool Industries, we can help both residential and commercial clients who want to make their environment more comfortable. We are able to offer free onsite installation and quotes for new air conditioning systems. Feel free to give us a call if you want to get a quote, or are just after information about air conditioning. Alternatively, fill out our web form and ask for a quote online. Our team is always happy to help. Residential Services If you are looking for a new air conditioning system for your home, or need to make repairs for an existing system, just get in touch with us. At All Cool Industries we can design, supply and install a system that is customised to your needs, whether that means a cassette unit, a multi-head system or a ducted system. We will repair or service your systems on demand. Commercial Air Conditioning Services We offer commercial services too – if you are looking for preventative maintenance, repairs, or servicing for commercial systems, just get in touch. We are always happy to help and we can provide chillers and other mechanical services as well. Split System Air Conditioner Units Whether you are looking for a home product or something for the office, at All Cool Industries we have the perfect split systems. We stock a wide range of brands including market leaders such as Daikin and Panasonic. Give us a call to get a free onsite quote for your commercial space or your home. Ducted Systems If you are looking for a new ducted air conditioning system, we can help you there too. We have the perfect selection of systems that will not only keep your home comfortable but look great too. We are happy to come out and look at your property and give you a quote. Just call us or fill out the form today, and one of our team will happily get back to you to discuss your air conditioning needs." Custom design and installation of Air Conditioning systems. Located to the south of Brisbane in Victoria Point, we offer air conditioning repairs and installation services to Redland Bay, Coorparoo, Carindale, Capalaba, Alexandra Hills, Cleveland, Coomera, Gold Coast and the surrounding region. With an emphasis on delivering a prompt, reliable service, you can trust an electrician from Brisbane’s Bay Air Electrical to complete each and every job to a high standard of workmanship!To obtain a quote on anything in our wide range of services, contact us today on 0419 997 042. 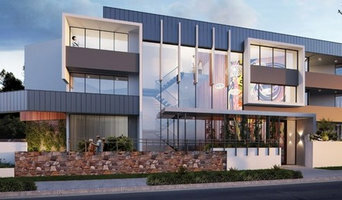 At home, Australians use, on average, 40 per cent of energy on heating and cooling, so it’s wise to seek expert advice from a HVAC contractor in Brisbane, Queensland on the most economical systems and models for your home. Your climate, the type of model you use and where you position it, for instance, will make a big different to your home’s comfort and how much energy you use. A HVAC contractor can also advise you on the best reverse cycle air conditioners, heat pumps, hydronic central heating and gas heating. Should you or anyone in your family suffer from allergies, they are also knowledgeable of the best anti-allergen filters and will be able to change your air conditioner’s filters, clean ducts or remove any debris around units. Other areas of expertise include refrigeration work, pool heating and dehumidification. Find heating and air conditioning contractors on Houzz. Look in the Professionals section of our website and search for Brisbane, Queensland Heating and Air Conditioning contractors. Read reviews and see how a HVAC contractor might approach your Brisbane, Queensland home’s heating and cooling challenges.